The inaugural STEM Cup has been decided, with “The Stemies” from Pimpama Secondary College taking out the Secondary Division and “The Minions” from Highland Reserve State School successful in the Primary Division. Organised as part of the Queensland STEM Education Network, the STEM Cup is an after-school competition featuring a range of Science, Technology, Engineering and Maths (STEM) challenges. With students ranging from Years 5-8, Upper Coomera State College hosted the preliminary rounds that saw teams focus their scientific imagination and ingenuity in the areas of Robotics, Eco Boats and Forensic Science. 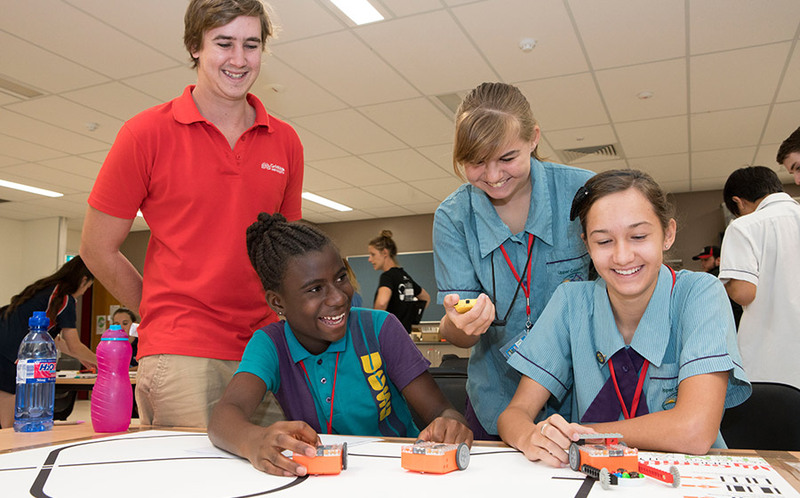 Teams from Helensvale State High School and Coomera State School also took part and the final was held at Griffith University’s Gold Coast campus. The Forensic Science component of the STEM Cup had the students acting as scientific sleuths as they investigated an imaginary crime scene to find clues, establish patterns, weigh evidence and draw conclusions. Queensland Police’s Officer in Charge of Gold Coast Scenes of Crime, Senior Sergeant Leon Wort, said the exercise gave students an insight into investigative processes and emphasised the important role of science in police work. The STEM Cup will return in second and fourth term in 2016 and it is anticipated that all four Gold Coast education regions will take part.